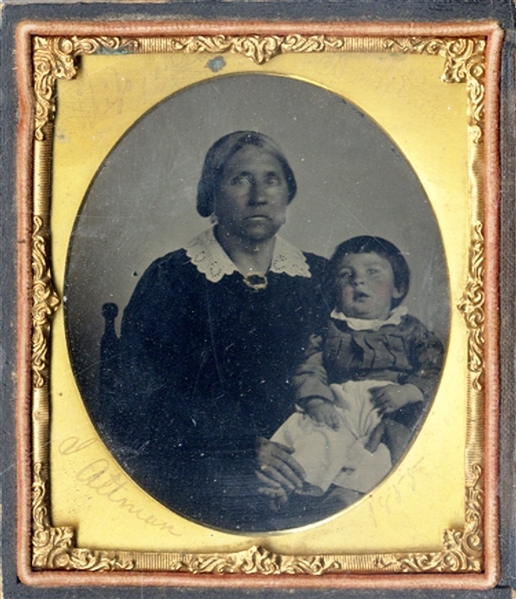 One Sixth Plate Ambrotype of seated Black woman with lapped white child. The child is lighted tinted in the cheeks. Attractive and clean image. The brass mat is identified in the upper left “Miss Mattie” and the lower left, “J. Altman” and the date “1855” is to the right.